As Transformers: Revenge of the Fallen continues to rake in serious cash at the box office, buzz is already starting over the inevitable, eventual sequel. 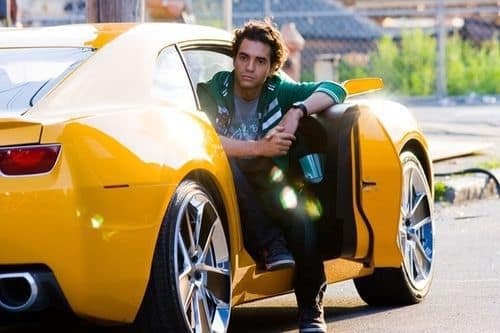 According to an article in The Los Angeles Times, Ramon Rodriguez - who plays Leo Spitz in Transformers: Revenge of the Fallen - won't simply return for a follow-up; he'll be featured more prominently. Director Michael Bay, speaking from his office a few weeks before the current movie's release, expressed significant pride to the newspaper in his discovery of Rodriguez. "I've worked with big stars, people like Will Smith, Sean Connery and Bruce Willis, but casting is a weird thing, it takes you places you don't expect," Bay said. "We went looking for a sidekick in this movie, Shia's sidekick, and we find this new kid who really pops on screen. I think he’s going to have a real bright career. It's great to work with big stars, but it's always fun to discover people."